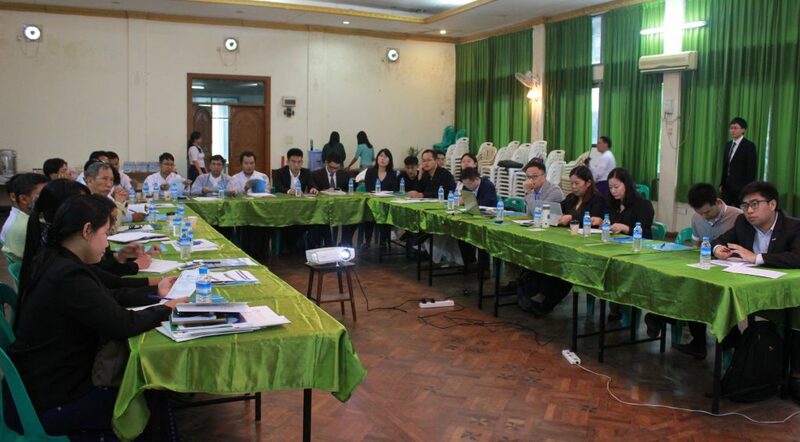 On October 22-23, Global Environmental Institute (GEI), the Guangzhou Institute of Energy Research (GIEC) of the Chinese Academy of Sciences, and the Department of Research and Innovation (DRI) of the Ministry of Education of Myanmar jointly organized the “Technical Training on Renewable Energy Implementation (REI) in Myanmar” workshop in Yangon, Myanmar. 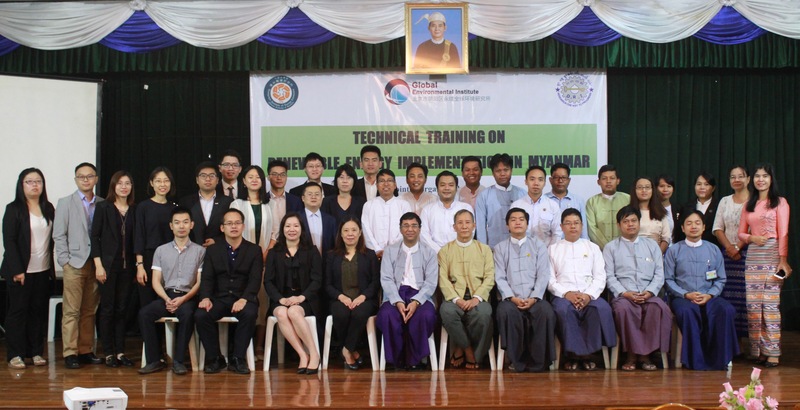 This workshop is a technical training for the future application of REI toolkit to the recently formed Myanmar Renewable Energy Working Group, following the GEI and DRI joint ‘Workshop on Promoting Renewable Energy and Sustainable Development in Myanmar” in June 2018. The workshop was composed of representatives from Myanmar’s Ministry of Education, Ministry of Electricity and Energy, Ministry of Natural Resources and Environmental Conservation, Ministry of Agriculture, Livestock and Irrigation, Ministry of Industry, Yangon Technological University, the US Center for Climate Strategies (CCS), the Renewable Energy Association Myanmar, Guangdong Solar Energy Association, Zhongshan Xiaolan Low Carbon Development and Promotion Center, INVET Solar Technology (Shenzhen) Co., Ltd., LONGI Solar Technology Co., Ltd. and Qingdao Haier Group/Haier Hainergy Co., Ltd.
Dr. Zaw Min Naing, Deputy Director General of DRI, Prof. Liao Cuiping from GIEC, and Ms. Yu Qingchan from GEI, gave opening remarks for their respective institutions and reflected on the successful results from the previous joint workshop held in June 2018. In their remarks, each organization expressed their commitment towards strengthening the China-Myanmar cooperation, as well as enhancing the abilities of Myanmar officials to use the Renewable Energy Implementation Toolkit in conducting pilot projects in order to achieve their INDC goals. On the first day of training, Dr. Xu Shengnian (GEI), Mr. Stephen Roe (CCS), and PhD Candidate Mr. Zhang Yueqi (GIEC) gave in-depth explanations on how to apply Renewable Energy Implementation (REI) Toolkit, including specific steps and data/information requirements for the toolkit application. 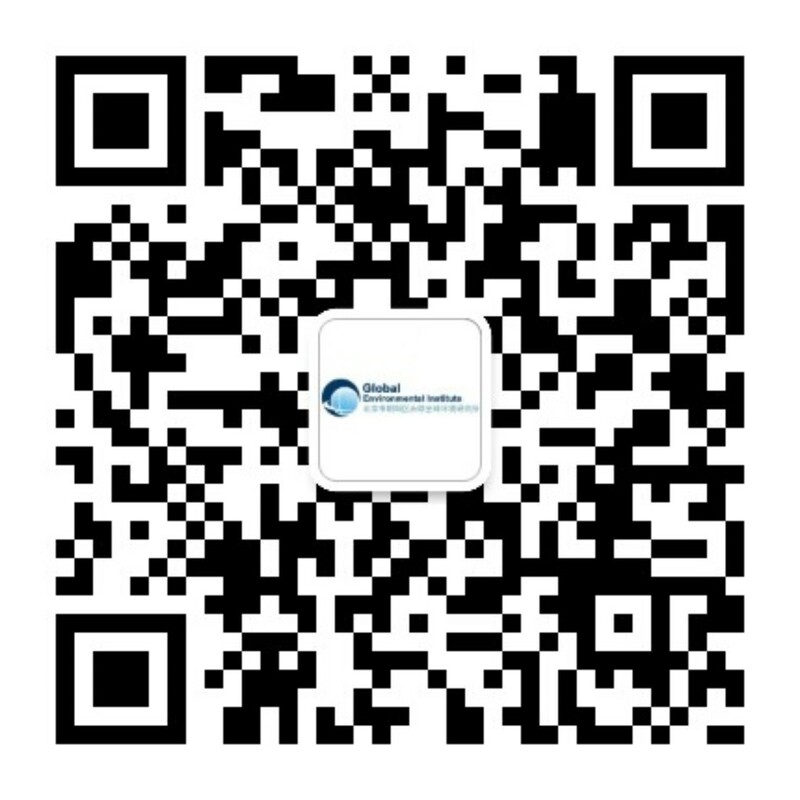 They also discussed the information, resource analysis, and business models in pilot projects in Guangzhou and pre-application projects in Shanxi. Dr. Xu introducing the application of REI. As the first day came to a close, Myanmar officials and experts of the Working Group conducted a group exercise and discussion regarding the household photovoltaic solar project and the community micro-grid project, exploring options for data collection such as relevant technology required, feasibility, and financial models. 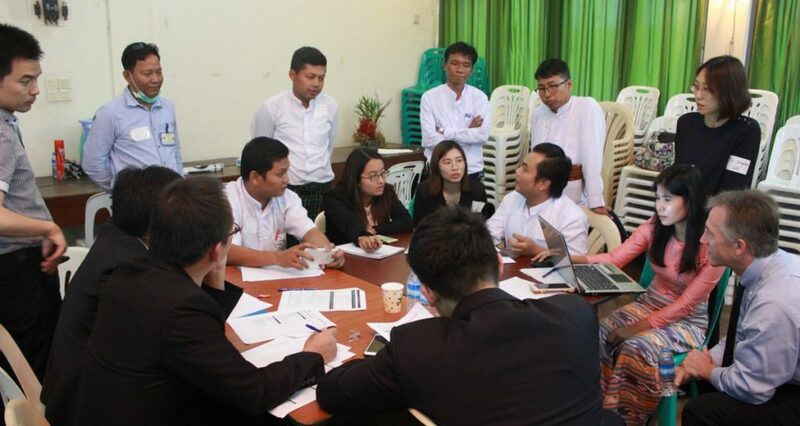 The Myanmar Working Group exploring the information needed for the micro-grid project. 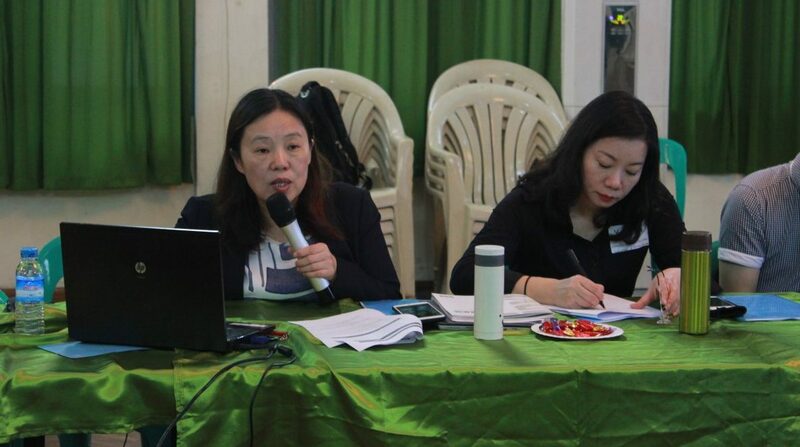 During the morning of day two of the training, to make the application of the tools more comprehensive, Prof. Liao Cuiping (GIEC), Mr. Zhang Fan (CCS), and Dr. Hla Myo Aung (DRI) introduced renewable energy development policies of China, the United States, and Myanmar, respectively. The experts and officials exchanged ideas and dialogue on policy experience. Later on in day two, Mr. Pan Yongqiang, Regional Manager from INVET Solar Technology (Shenzhen) Co., Ltd., Mr. Zhou Jianbing, Marketing Manager of LONGI Solar Technology Co., Ltd., Ms. He Yiqing, Directorof Zhongshan Xiaolan Low Carbon Development and Promotion Center, and Prof. Luo Zhigang and Mr. Zhang Yueqi from GIEC, discussed how to choose a solar technology financing mechanism suitable for Myanmar. Experts from the Myanmar Working Group conducted a financial analysis of the two project types based on the results of the previous day’s discussion on household and micro solar power projects. Myanmar Working Group members report the results of the discussion. After the training, Dr. Zaw Min Naing, Deputy Director General of DRI, stated his promise and mission to utilize the dialogue from Chinese and American experts in renewable energy development and create a better understanding in the tools, policies, financing, and enterprise participation necessary for Myanmar’s development of solar photovoltaic demonstration projects. 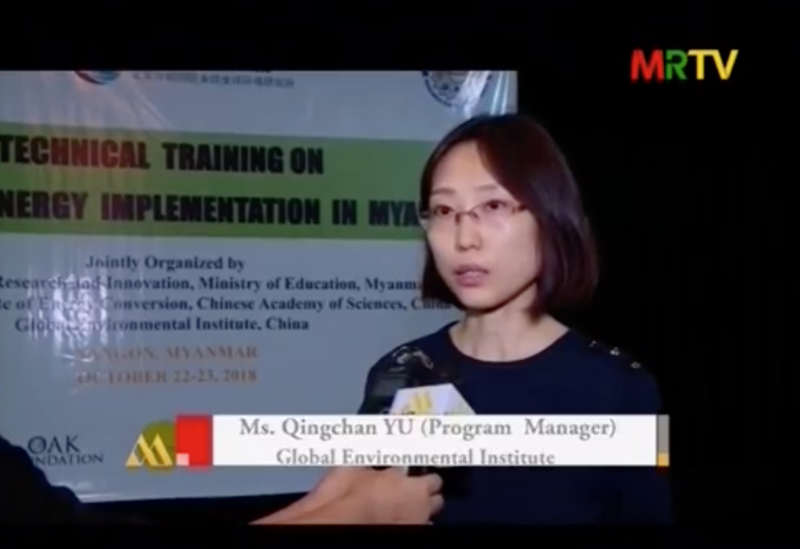 Additionally, Myanmar Radio and Television (MRTV) also conducted a special report on this technical training to open up to the general public to promote a wider and more thorough understanding of technical exchanges and cooperation in the development of renewable energy between China and Myanmar. 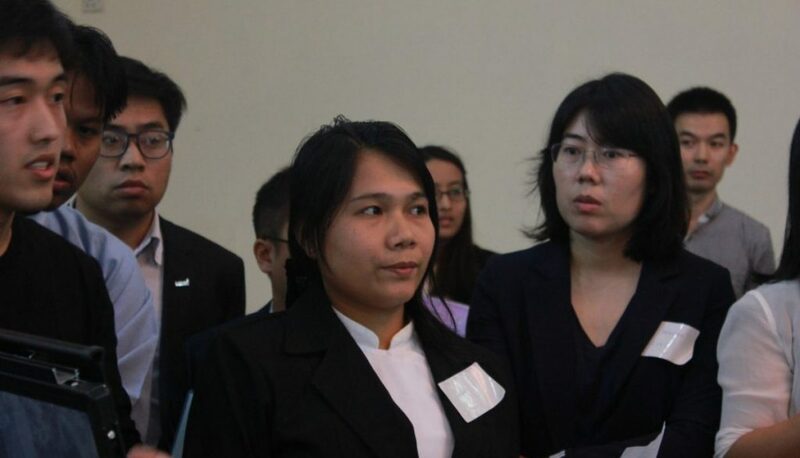 Our own celebrity- GEI’s Yu Qingchan was seen on Myanmar Radio and Television! 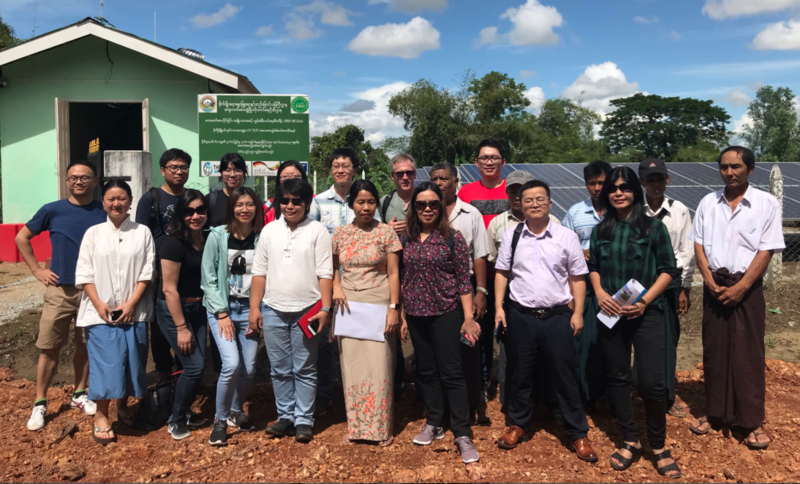 To gain better insight on solar power projects in Myanmar, we took a field trip to Byet Kalay village, Bago Region, where Myanmar’s Talent and Technology Co., Ltd.’s developed a solar and diesel hybrid micro-grid projection. The project is 60% funded by government subsidies and 20% by village collective funding. The investment return period is about 6 to 9 years, showing that the profitability of solar photovoltaic projects in Myanmar is still difficult. Through on-site investigations, Chinese experts have gained a deeper understanding of the challenges and needs Myanmar faces on the path to renewable energy. Facilitating localization of analytical models and toolkits is crucial in supporting Myanmar efforts in transitioning to clean energy. Group photo of the visit to Myanmar solar and diesel hybrid micro-grid project inspection. 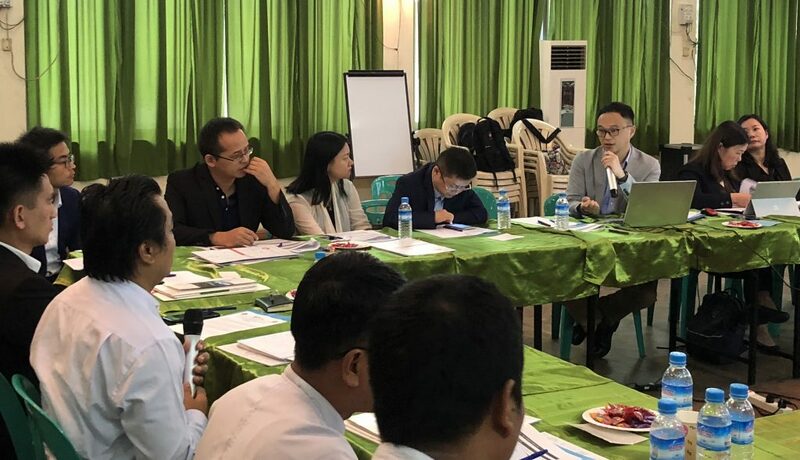 Lastly, GEI, GIEC and Myanmar’s DRI will continue to work together to develop a solar energy resource assessment and project planning work in Myanmar. We will also select pilot areas to design and plan solar photovoltaic projects based on Myanmar’s resources and economic conditions, a topic that can be better understood with the continued facilitation of dialogue, action, and the shared goal of a brighter, cleaner future.